Home / 2014 Blogger Award / Bob Dorigo Jones / Brooklyn GOP Radio / Buffoon of the Year / CPAC / CV4A Accountability Project / Fun / Gene Berardelli / Jessie Jane Duff / Litigation / People's Republic of New York / Russell Gallo / Scottie Hughes / Tabitha Hale / THURS@8PM - Our CPAC 2014 Show! THURS@8PM - Our CPAC 2014 Show! 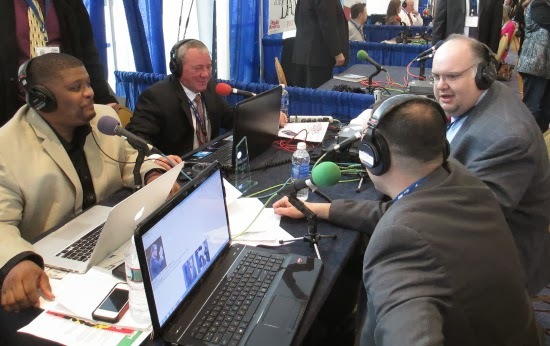 What a week at CPAC 2014 for Brooklyn GOP Radio! We have a great extended show set up - 75 minutes of great interviews and great fun! Featured interviews include Tea Party News Network's Scottie Hughes, 2014 National Blogger Club Award winner Wayne Dupree, Jessie Jane Duff, Amber Barno, Pete Hegseth & Jane Horton from Concerned Veterans for America, Center For America's own Bob Dorigo Jones and his "Wacky Warning Labels" and Rare's Tabitha Hale! On The Wayne Dupree Show - notice how his award is on the table taunting us! 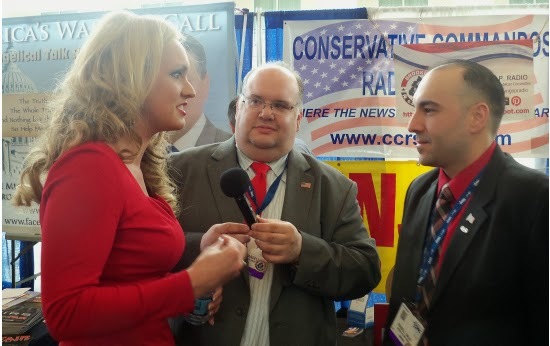 For more great CPAC content that you won't here on the show, stop by the blog often, as we plan to regularly feature even MORE interviews done by Team Brooklyn GOP Radio!